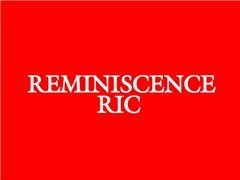 Reminiscence Ric Films are making The Wild Wacky Weird Sideshow, a multimedia project combining short stories, a live show, several books and as the centrepiece a full length feature, approx 100 mins in length. Combining circus/sideshow acts with superheroes and a plan to steal a priceless royal artefact, a fast paced drama featuring action sequences and physical humour, this will be a great addition to anyone's showreel. Ultimate goal is to be released on DVD, but film festivals are on the radar too. Film production likely autumn 2019 - spring 2020. As producer of the feature, you'd be responsible for the non-creative side of the project, namely securing locations, budgets, crew etc, keeping the project on schedule and on budget. You need to be confident, ready to pitch in, delegate where necessary and full of ideas on how to make the project bigger and better at every step of its journey.